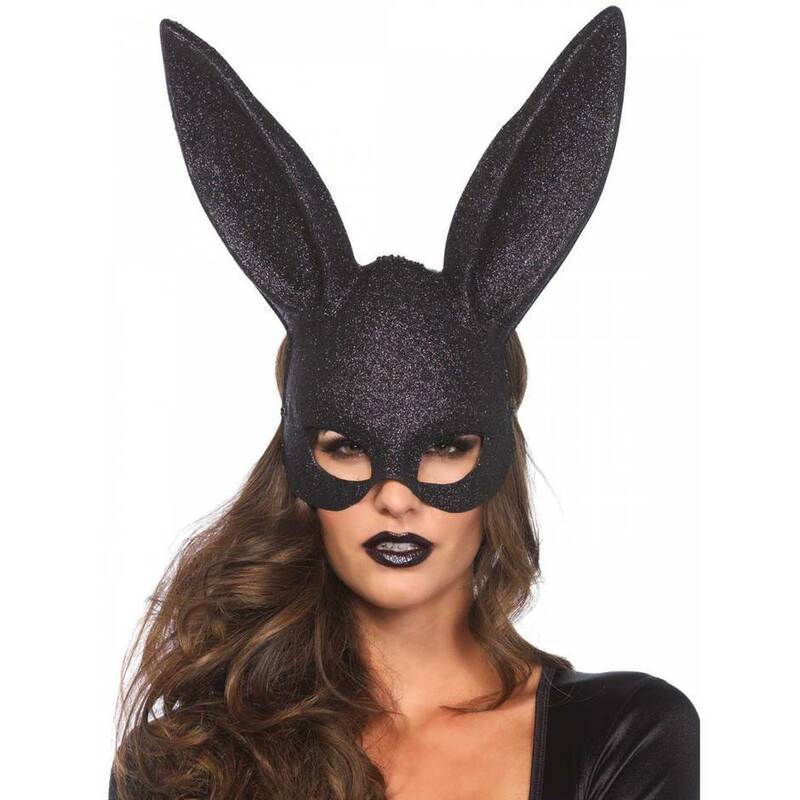 Let's be 'Frank' - there's something a little bit 'Donnie Darko' about this rabbit masquerade mask. Whether for a touch of cute critter role play, for a masked ball, or as part of a bunny-based fancy dress outfit, this glitter headpiece is a real thumper. Order over the phone: Call 0333 103 6969 and quote code 68090. Covering the upper part of your face in firm PVC decorated with glitter, the mask also features large ears for a stand-out look. Never any complaints with how quickly orders arrive. The mask itself is sturdy and sparkly. I would not wear it for a long period of time, mainly because it is plastic (as specified) so it gets very sweaty and slowly slides out of place and, as expected with glitter (evil stuff), it leaves a lot of residue behind. However, for the price you pay, you do get a great mask for photos or for the persistent people among us, a great mask for an event or bedroom play. It's just so very pretty! Very sparkly and fits nicely. It leaves a lot of black glitter residue due to sweating (plastic!). Just get it. It's very pretty. Luckily I only bought this for bedroom roleplay as I wouldn’t have been able to wear it for a long period of time. It’s a bit tight and makes you sweat with the plastic. Otherwise a fab purchase and I love it. Not breathable, a tad tight fitting. Don't waste your money. Glitter just wipes off and it doesn't fit properly. Doesn't sit right on your face. The eyes area ain't at right level on mask. I was really unhappy with this, was really looking to dress up with it. Real shame. Do not buy, you will be wasting your time and money. To sum up, do not waste your time buying this mask.